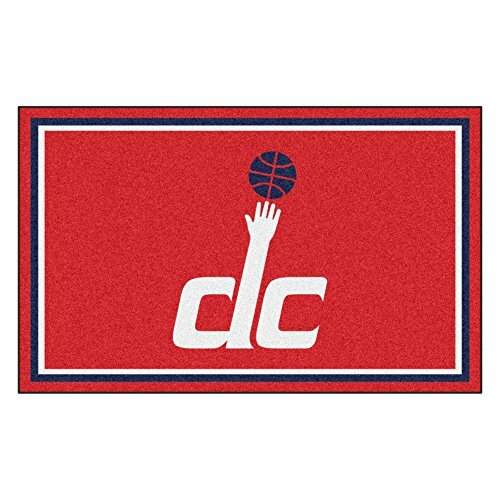 FANMATS 20447 NBA - Washington Wizards 4'X6' Rug, Team Color, 44"x71"
If you have any questions about this product by Fanmats, contact us by completing and submitting the form below. If you are looking for a specif part number, please include it with your message. FANMATS 20423 NBA - Cleveland Cavaliers 4'X6' Rug, Team Color, 44"x71"
FANMATS 20436 NBA - New Orleans Pelicans 4'X6' Rug, Team Color, 44"x71"
FANMATS 20428 NBA - Houston Rockets 4'X6' Rug, Team Color, 44"x71"
FANMATS 20438 NBA - Oklahoma City Thunder 4'X6' Rug, Team Color, 44"x71"
FANMATS 20444 NBA - San Antonio Spurs 4'X6' Rug, Team Color, 44"x71"